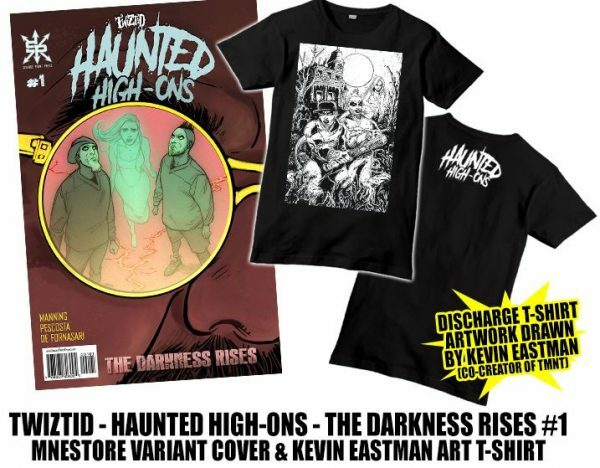 Radio420™: Pre-order Packages Revealed for Twiztid’s “Generation Nightmare”, AXE’s “Church of Xul” and Haunted High-Ons Issue #2! Pre-order Packages Revealed for Twiztid’s “Generation Nightmare”, AXE’s “Church of Xul” and Haunted High-Ons Issue #2! There was just a HUGE merch drop at MNEstore.com! 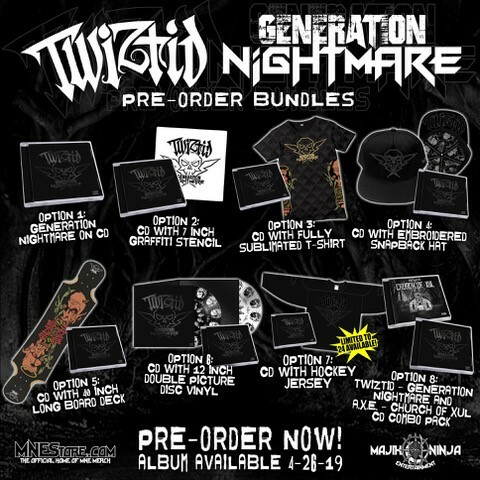 As promised, we got pre-order packages for the new Twiztid album called Generation Nightmare. There are some pretty fresh pre-order items including jerseys, hats, a sublimated shirt, and even a long board! But that’s not the only project they unleashed on us! The mighty Alla Xul Elu will drop an album called Church of Xul on the same day as Twiztid’s (April 26th)! They have their share of pre-order packages including custom jerseys, new Forever Face masks, t-shirts, posters, hoodies, and more! Click to pre-order from MNEstore.com!